You know I am so jealous of you who are enjoying a True Autumn now. The changing leaves, cool breezes, pumpkin lattes and the boots! We in the southern climates still yearn for new Fall fashion, but we have to be more patient and more creative. Or bite the bullet and sweat through our cashmere. I put away my floofy lightweight summer tops, so I am left with classic tees, a couple of print blouses (similar), my favorite boyfriend jeans (sim), some fab new cardigans (sim) and my best oxfords (sim). This will be my uniform till the chill arrives. And I need to add just a couple of new (or thrifted) pieces to round out my Florida Fall fashion. The keys to dressing for Fall while still warm are the usual style components we all have learned: color, fabric, details, and silhouette. The colors tend to be deeper – more emeralds and burgundys for me; the fabrics cozier and the chiffons put away; the details more rich; and the silhouettes a bit crisper. 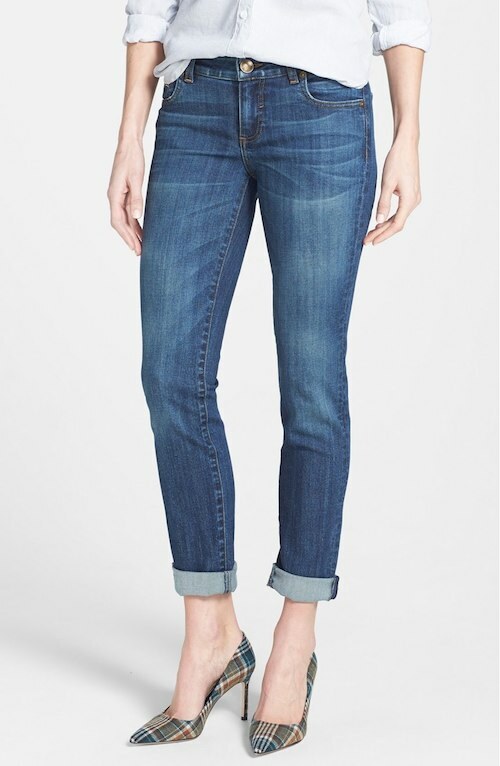 These are one of my favorite pair – cool and classic and not too low-cut or snug. 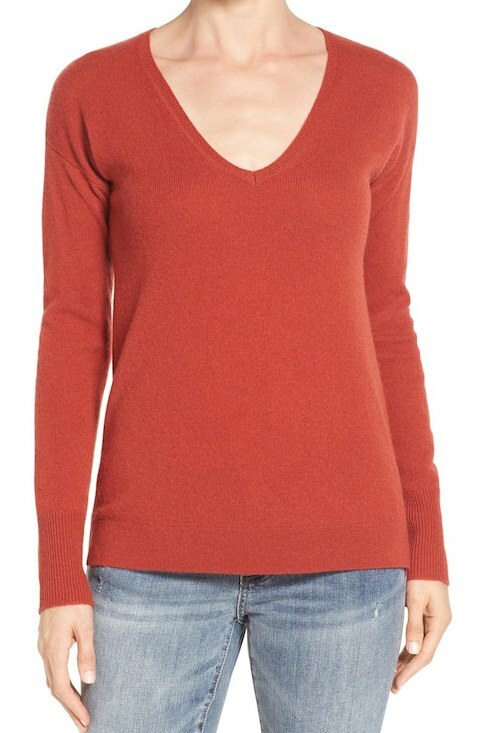 Cashmere vee-neck sweater. Ahh, the best fabric of Fall. And a lightweight cashmere sweater is wearable now, and later with a blazer. I have a medium gray one that I thrifted, but it’s not my best color. How about a Red Ochre? I’ll wear this one with the skirts and of course the boyfriend jeans. Soft and cozy and not too weighty. This sweater comes in ten colors, and it’s under $100. 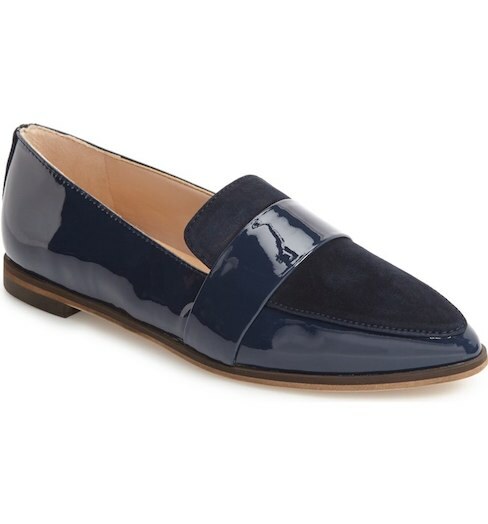 I’m crazy for these Dr. Scholl’s suede and patent loafers. These harlequin print tights will be fun to add. No heavy sweaters, velvet pants, or sherpa jackets yet for us down south, but we can still party on in Fall fashion. What’s on your Fall shopping list? Please be aware that links to vendors may be affiliate links. I do benefit from your purchases through the links on the blog. Brandy hands down did a great job! No she didn’t hit the high notes of Whitney she worked the stage. To be honest Monica didn’t do all that great to me, I struggled while watching that performance. I commend Cissy for singing, she has some real strength. Fr those that may be critiquing her performance, she is straight old school church singing, #nofliter, as you could say. She may not have hit all the &#g;022ri8ht” notes but she had the emotion behind it. Overall, it was a good tribute. Love this post as I live in hot, humid Houston, TX. We definitely have to be creative to trick ourselves into dressing for autumn. I also change my color palette wearing pumpkin, rust and brown to kinda make up for the lack of changing leaves color. I’m into making vests at present because sweaters would be too warm and have (mostly) put away my sandals. Love the loafers you mention. Oh, I agree, Patti! I’m just so ready for fall, but it’s still a/c weather. I’m doing very similar things: long sleeves, vests, light layers, richer colors. But I’m longing for sweaters, jackets, boots! You had me at “cashmere” – that is my go-to wrap to pair with both pants and skirts.